Blackjack betting is all about timing and the more precise you can be with your wagers the more chance you’re got of making money at the table and beating the Unibet odds. The first bet you’ll make is the initial ante and, while this is an enforced bet that can’t be timed any differently, there is one consideration you need to make: how much you’re betting. Each bet you make should be made in the context of your bankroll, but at certain points during a session you’ll want to increase or decrease the amount you bet. This fluctuation in bet size is does come down to timing because it’s all about when you make these changes that count. In basic terms, you want to increase your initial wager when the deck is in your favour, i.e. when there are more tens than low cards left to come out of the shoe. To accurately determine this you need to count cards; however, if you’re unable to do this, you can still gain a rough idea. By keeping an eye on the action and noting the amount of low cards versus the amount of high cards you see, you should be able to build up a general idea of how the remaining cards look. When it seems the deck is in your favour you should increase your bets and when it’s against you then you should decrease your bets. The other point at which timing is important at the blackjack table is when you’re deciding whether to split or double. These are two powerful moves but if you make them at the wrong time you’ll find yourself losing more money than you should. The best time to double (an option which is available when you have a starting total of 11 or lower) is when the dealer is weak. If the dealer’s up card is low then it’s a good time to double. Similarly, if you are dealt a pair and considering splitting then you should do it when the dealer is weak. On note of caution though: splitting any pair below nines is usually not profitable. The reason for this is that you’ll essentially be turning one mediocre hand into two mediocre hands. 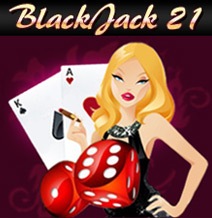 Effective blackjack betting is a matter or awareness and timing. Knowing when to increase and decrease your wagers will make the difference between big wins and big losses.